Keeping track of when your kids come home from school while you are at work. Using Ooma Smart Cam technology to customize alerts for friends, family and strangers. 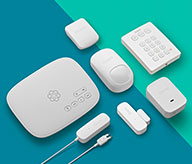 Monitoring home security events directly from your smartphone. 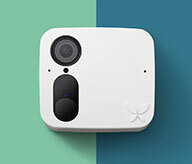 Using Ooma Smart Cam as a nanny cam. Checking in on your home while you're traveling. Creating notifications for employees, clients, delivery personnel, and office visitors. Monitoring video footage from potential office break-ins. Checking in on your office while you are on vacation. To find out more about Ooma Smart Cam features and benefits, check out our home security camera page. What kind of warranty does Ooma Smart Cam provide?